If you scroll down a few posts, you’ll see the “old” image with “Covenant” as the title. I really liked how it turned out, but several of the images were not large enough for print. The above image is the front, spine, and back cover of the 9×12″ paperback. I think I like it better and with Mr. Smith’s permission, we’ll use it for both ebook and printed covers. It is off to the printers with 598 inside pages sandwiched between the covers for a test run. 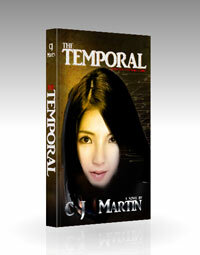 Once that is given a good reading by the early beta readers, it should be ready. 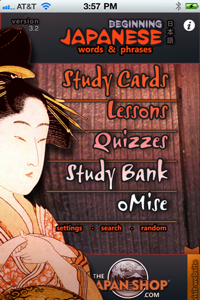 I’m hoping by the end of the month to have at least the ebook version selling on Amazon, BN.com, and TheJapanShop.com. Any thoughts or comments would be most appreciated. 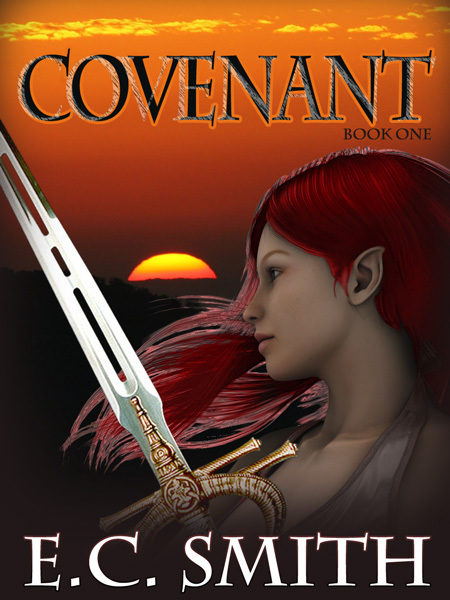 I’m happy to announce Kotoba Books will be soon publishing Mr. Smith’s Covenant, a 150,000 word fantasy novel. Elves, Dwarves, and humans face threats from surrogates sent by the evil Desolate–the dark elves. It is the early years of recovery following a devastating war between the Desolate and their cousins, the Firstborn. No race has been left unscathed and trust runs thin. The humans, aided by the Firstborn, have experienced a period of unparalleled prosperity. And now they are preparing to herald the first human king. 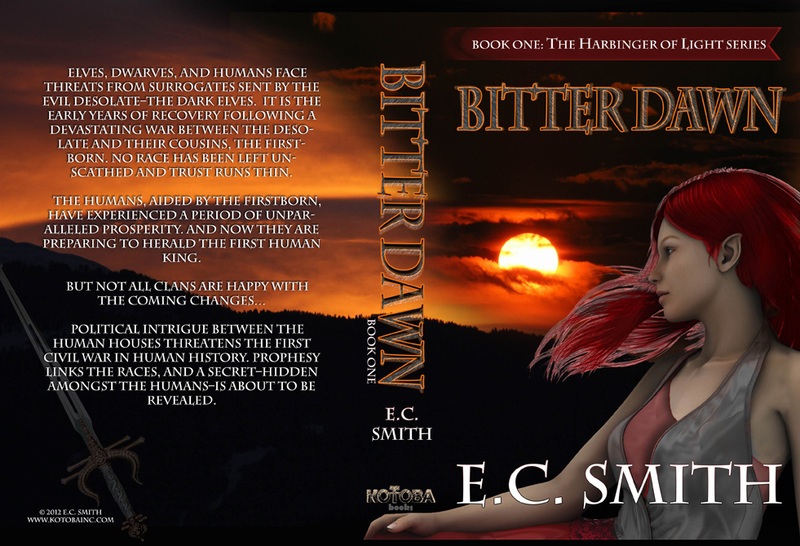 Political intrigue between the human houses threatens the first civil war in human history. Prophesy links the races, and a secret–hidden amongst the humans–is about to be revealed. If you are interested in fantasy (in English) and would like to read an “uncorrected manuscript” as the New York publishers say, please contact me to be on a beta reader’s list. Extra eyes prior to publication is always good!